Please visit us for all your linen rentals needs in store to see all the swatch books on hand! 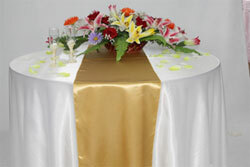 Linen available in a large variety of colors, please contact for more information. 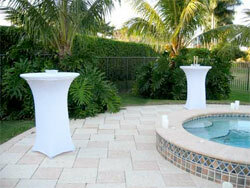 Some of our color swatches can be seen here. 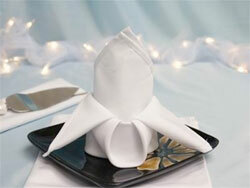 $1.00 per napkin, over 40 colors available. 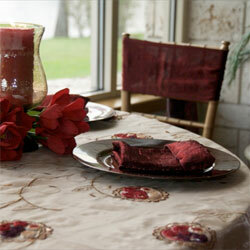 $2.00 per Napkin in over 100 Colors! Be different! Left by the 80’s, today’s most fashionable events bring Spandex to the table. 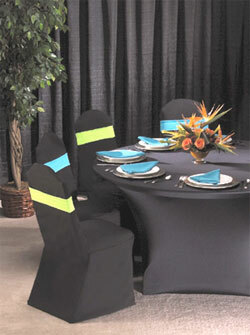 An overwhelming interest in spandex has led us to bring cocktail/guest table covers that truly look spectacular at any event. Add an led light plate underneath to make them glow! 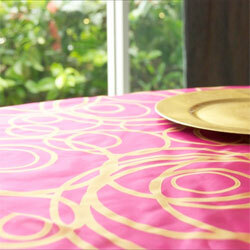 This style comes in approximately 20 colors!